Afternoon Lunch at the Orchid Room Restaurant! 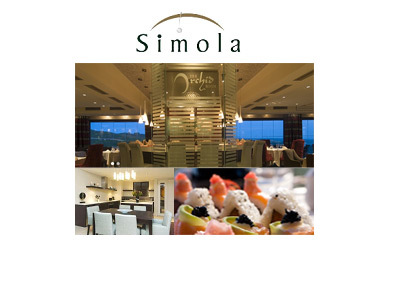 The Orchid Room Restaurant at Simola Hotel offers a dining experience sure to please even the most discerning patron. With views stretching across the most beautiful vista of the lagoon and Heads as well as the golf course and outside pool, one can be forgiven for spending more time than usual dining! Executive Chef Delia Clarke brings with her years of local and international experience catering to celebrities, sport stars and royalty alike. The a la carte menu is seasonal, making use of the very finest fresh local and imported ingredients. A wide variety of tastes are catered for, with dishes designed to delight any palate. Sunday Buffet lunch is a local favourite with a wide variety of starters and salads, delicious main courses and carvery, and mouthwatering desserts. The Restaurant boasts a sushi bar with wrap-around counter where patrons can watch the sushi-chef prepare this authentic Japanese cuisine, while Teppanyaki is on offer for guests with less adventurous tastes.